I realize that I haven't posted to my blog in several weeks. It is not writer's block which is ailing me, it's now a lack of free time. Life has just become very busy again, and that is a good thing. 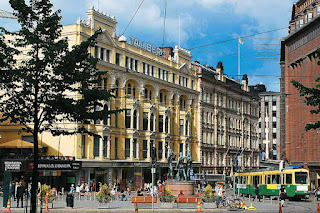 I started a new job at an Internet media start up in downtown Helsinki and I am very psyched about working there. However, I have neglected this blog long enough so I hope you enjoy this entry. My new job is located near the Kammpi and Punavuori neighborhoods in downtown Helsinki, which is very close to the city center. I live in Espoo and luckily my commute is no longer than a 15 minute minute bus ride, 5 minute car ride and about a 5 minute walk. It definitely beats my previous commutes in the San Francisco Bay Area which were roughly 1 hour or longer. Working downtown is nice because I am engulfed in all the cultural and historical surroundings of the city. Just steps outside of my office building are multiple restaurants, boutique shops, hair salons, art & design shops, and various other services. This is a very bohemian and somewhat eclectic part of the city. Helsinki has never been known as a "hot bed" of culture, but I sense things are changing and the city is slowly becoming more trendy and international. 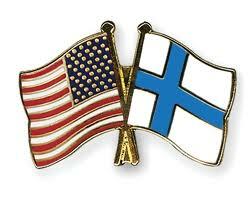 What mystifies me the most are the amount and selection of restaurants in downtown Helsinki. Finland doesn't have a reputation as a foodie city and Finnish food itself is less than exciting. When I leave my building and meander a few steps outside I am surrounded by Thai, Japanese, Chinese, Nepalese, Turkish, Mexican, Italian and countless other ethnic varieties of food. The choices seem to keep growing everyday as I discover more and more places. The main issue in Helsinki has always been the scarcity of good/fresh ingredients for ethnic foods. Also, I think the Finns taste in food was never really geared towards exotic ethnic foods. Historically this has been a meat, fish and potatoes country. The only spices Finns seemed to know are salt and pepper. I am particularly excited about the two new Mexican restaurants that have popped up downtown. In my previous visits to Finland I had never discovered a true Mexican restaurant and most of them are considered Tex-Mex (think Chevy's style without beans, fresh salsa or Margaritas). These new places are truly Mexican and have fresh ingredients, and feature Mexican chefs. 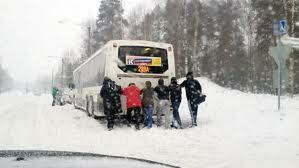 Immigration to Finland has been occurring a greater pace now and perhaps that is why so many ethnic restaurants seem to be popping up on every street corner. 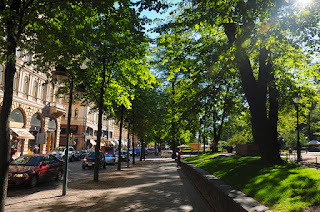 Now that the Winter thaw is slowing fading away and the Spring sun is making it's appearance, I look forward to taking lunch strolls along the old streets of Helsinki. Within 5 minutes I can be at the center of the city and within 10 minutes I can be at Finland's most famous street, The Esplanadi. The Esplanadi is a long street that features a picturesque park, and is a great place to hang out in the summer sun. Just a few more minutes away I can be at the famous harbor that features a daily open air market. 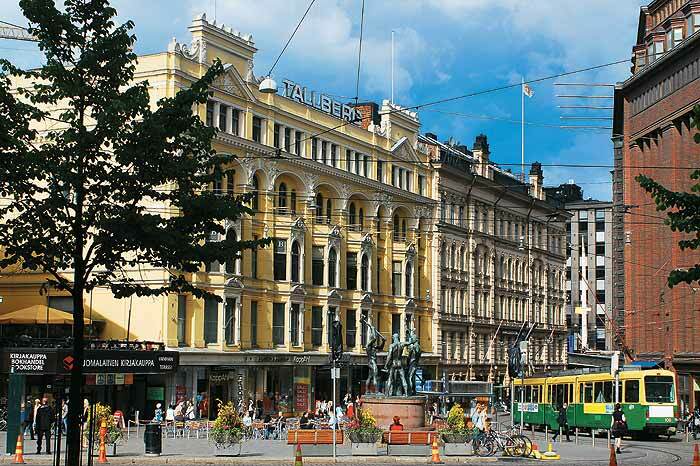 Helsinki is a fairly compact city and one can navigate it fairly easily on foot alone. I look forward to more adventures out and about in the Capital city as the Spring sun slowly turns into Summer's endless white nights.